Hello there. Thanks for dropping by. I'd like to extend an invitation to join me and all of the others just like you who are interested in OpenStack, the hottest open source cloud stack on the block. We enjoy talking about cloud computing and storage, discussing OpenStack deployment, coding to further the project, and creating a collaborative local community. 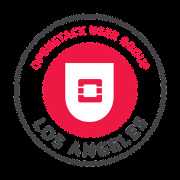 Join our group and you can look forward to some interactive presentations from OpenStack experts and chatting with fellow Stackers about their code contributions or experiences with OpenStack – all while sipping an ice-cold beer. Look forward to meeting you at the next event!